11/04/2019: Gorgeous George, a new hotel on St George’s Mall in the CBD of Cape Town, will officially open on 18 April 2019. 11/04/2019: As of 25 March 2019, new rules for checked baggage will be applicable at O.R. Tambo International Airport in Johannesburg, South Africa. 11/04/2019: Great Plains Conservation is thrilled to be opening Selinda Camp in the Selinda Reserve on 01 June 2019. 11/04/2019: Kruger Grande, Chief’s Tented Camp is an extraordinary luxury tented camp in the iconic Kruger National Park that will open on 01 July 2019 until 04 August 2019. 11/04/2019: More property updates we have received recently. 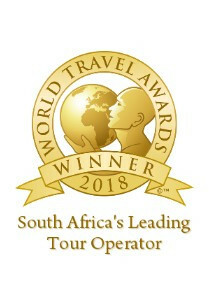 14/03/2019: We at Springbok Atlas Tours & Safaris are thrilled to have won the award “South Africa’s Leading Tour Operator: 2018” awarded by the prestigious World Travel Awards. 14/03/2019: Newmark Hotels will be opening The Stock Exchange, a new hotel in the eclectic suburb of Woodstock in Cape Town, in March 2019. 14/03/2019: More property updates we have received recently. 14/02/2019: We have been informed that Table Mountain has scheduled its annual maintenance closure for 2019.